While some major features still require full version updates, Google has a system in place that keeps many handsets at least somewhat relevant with Google Play Services. The company can squash certain bugs and even introduce new features just by updating Play Services. Similarly, many of the system apps that were once bundled as part of the operating system are now available in the Play Store, which means they’re maintained and updated this way—just like all the apps you download manually. These two things mean you get more up-to-date phones, even if they’ve stopped getting full version updates from the manufacturer. Google is updating Android without actually updating the Android operating system. When a manufacturer wants to release an Android device, they have to negotiate an agreement with Google to get the Google Play Store and Google apps on their devices. As part of this agreement, Google reserves the right to update the Google Play Services component of Android on their own. This component automatically updates in the background on your Android device through the Play Store, just like any app you’d install normally. 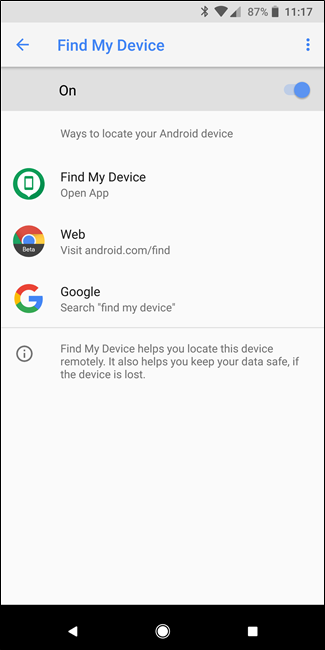 For example, Google added the Find My Device tracking feature to nearly all Android devices thanks to a Google Play Services update. 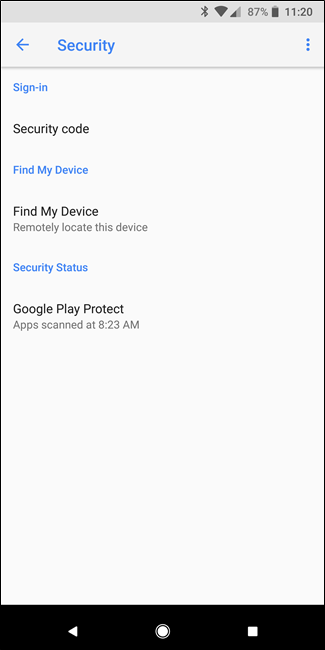 Just open Google Settings—which was added via a Play Services update—tap Security, then make sure the “Find My Device” option is enabled. Similarly, Google has also added an app-scanning feature that watches for malware, making older devices more secure. These user-facing features were added to the Android operating system via a Play Services update without any interference from device manufacturers or carriers. These are the kind of updates that would require a complete operating system update on other platforms. However, Google has managed to perform an end-run around the carriers and manufacturers slowing things down and release updates for nearly all Android devices. If your device has the Play Store, Google is updating it. Google has also split more and more apps out of Android, releasing them as apps in the Play Store. This means that the app can be updated without updating the Android operating system, but it also means that you can install the app on old versions of Android. 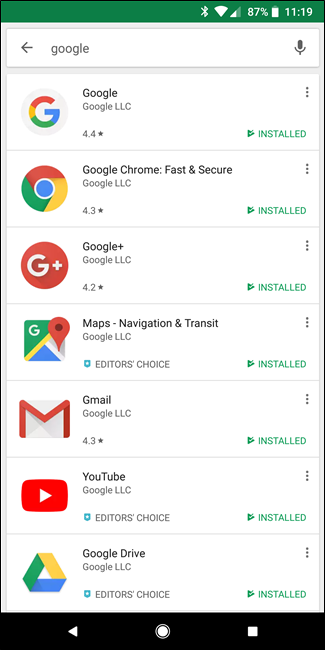 Gmail, Google Calendar, Google Keyboard, Hangouts, Chrome, Google Maps, Drive, YouTube, Keep, Google+, the Google search app—these are all apps that update regularly from Google Play and that you can install on older devices. On Apple’s iOS, an update to a system app like Mail, Calendar, Messages, or Safari requires a completely new version of the iOS operating system. On Android, they’re automatically updated for everyone who has them installed. Certain things still require operating system updates. Operating system-level features and support for new hardware standards can’t be rolled out in the background. They require new versions of the core operating system. However, these updates are becoming less and less significant. Google is rolling out as many new features as possible via Play Services updates and app updates. They’re splitting out more and more apps from the Android operating system, making them available in Google Play so every device can update to them. The reality is that Android updates are becoming less and less significant. If you have a device with Marshmallow (Android 6.0) or above, you still have a very modern Android experience with most of the latest features. You can still use all the latest apps because Google has given your device access to most of the latest APIs.